It is very easy to dismiss our intuitive mind, but it is a gift that when fostered has the power to re-store balance, health and prosperity to our bodies and life experience. It is very easy to dismiss our Intuitive Mind – but it is a gift that when fostered has the power to restore Balance, Health and Prosperity to our bodies and life experience. The quality of our life is determined by the quality of our decisions. Are the decisions you make every day intuitively-based or fear-based? Do they feel good or bad? Unfortunately, for the most part we are not taught to follow our intuition, our cultural bias is to follow fear and question ourselves endlessly to our own detriment. This rarely ends well and can leave us feeling creatively stifled and disconnected from ourselves, life and each other. 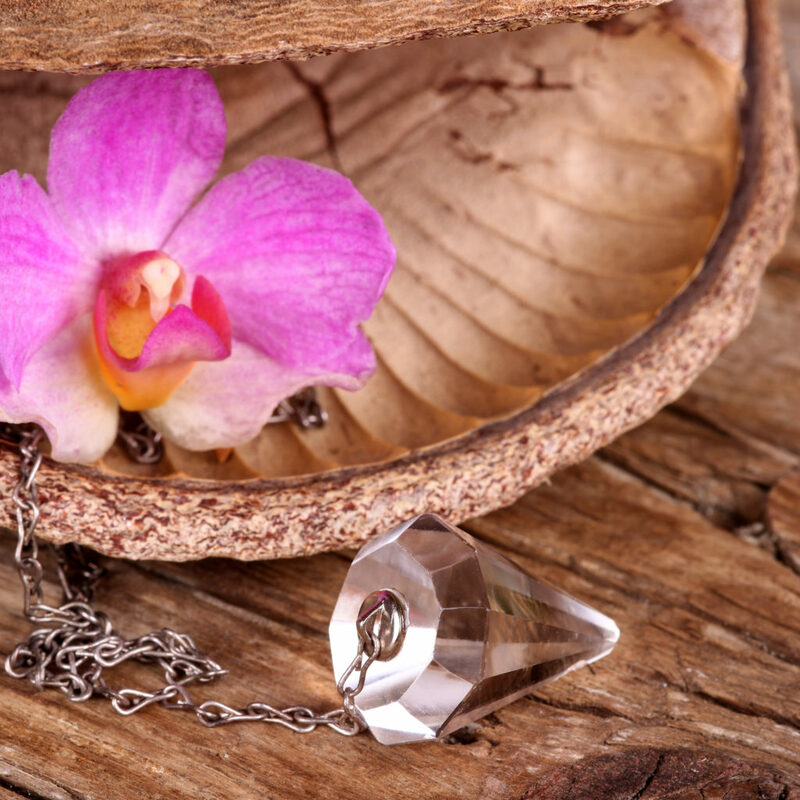 Using the pendulum as a communication device learning the art of dowsing will open you to the most powerful relationship in all of creation, the relationship between you and your Higher Mind or Intuitive Mind. From this Higher Perspective the decisions you make everyday will be of a very different nature and lead to very different outcomes. Fifteen years ago I reached a point where illness and lack was taking over my life and I knew intuitively I needed to make very different decisions. By divine synchronicity or in answer to my desire to heal myself I was introduced to Intuitive Dowsing and it opened the door to consciously choosing a path of health, wellness and self-empowerment. Do you feel like it is time to make different decisions in your life? Decisions can be challenging – particularly in these changing times where we are not just discerning physical needs but emotional and soul needs as well. Would it be in your highest and best interest to learn more about Intuitive Dowsing? Connect with, trust and use your inner knowing. Make intuitive decisions that both ‘appeal to your logic’ and ‘feel’ good. Open your mind to your heartfelt desires. Move forward in your life with a clear mind that is aligned with your heartfelt intentions. In this empowering and interactive workshop we will explore muscle testing and the use of the pendulum to communicate with our Intuitive Mind through the resonance and dissonance of the nervous system. We will also explore the Spirit-Mind Body relationship intuitive dowsing opens that you may better understand and confidently trust your intuitive nature. Processes and practices will be provided to use Intuitive Dowsing to Divine Choice, Love, Purpose, Health, Authenticity and Timing. *If you are interested in deepening your intuitive dowsing abilities after taking this workshop, you can read about Karen's Intuitive Dowsing - Advanced workshop here.